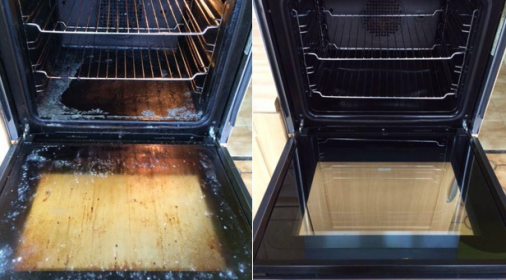 At Ovenclean, we use a very innovative process to ensure that your oven is clean, safe and ready to use immediately after the professional clean. Our products also have no-added caustic, which means your kitchen is safe, hygienic and free of nasty fumes – perfect if you have a family or pets! The Ovenclean process removes all grease, fat and burnt on food whilst fully protecting the enamel surface of your appliance. Specialists also carry stock of replacement lamps, universal seals and a range of extraction filters for your convenience. 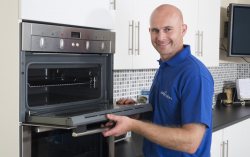 First of all, our specialist will greet you at your door, introduce themselves, and explain about Ovenclean and what we do. 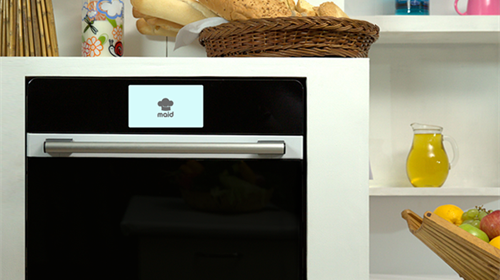 At the oven, the specialist will check with you if everything is working properly and ask if you have had any recent issues with the appliance. They will test the oven if you feel the need and note any existing marks/faults. Some specialists go through the Ovenclean process over the phone, but if they haven’t already done so, then they will explain it to you now. They will then bring their equipment and tools into the kitchen and lay a carpet floor cover to do so if needed. Once they have set up their work area, the specialist will lay the floor cover in front of the appliance and get started. All removable items from the inside of the oven will be removed in order to conduct the deep clean, including the racks, side panels, side supporting racks, back panel and even the fan! If needed, the specialist will also remove the inner glass panel from the top and bottom oven doors, to reach the areas many people struggle to get to on their own, such as between the glass. 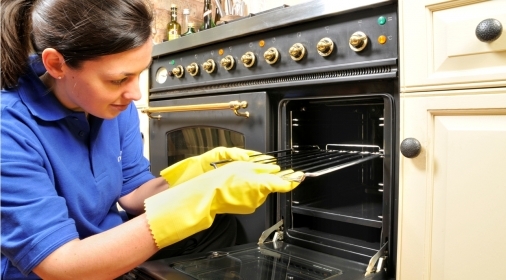 The specialist then will thoroughly clean every last inch of the oven, the removable items, the oven door and the inside of the oven until it all looks pristine! They will carry out a final inspection of the oven before returning all the cleaning equipment to the van. They will sweep the work floor area if required before asking you to inspect their work. Any questions or queries will be answered. Job done! To get your free quote, call us on 0800 840 7127, or complete our online form.